The migration assistant will be displayed. Select Files in mbox format and continue. 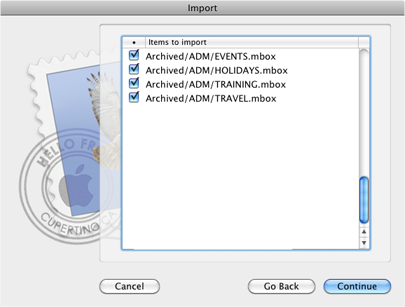 Select the directory where your exported messages are and check the folders you want to import. Depending on the size of your mbox files, the process can take a while. When finished, all messages will be available in the local folder Import. Open Entourage and a Finder window, in a way that both are visible. With Entourage, create a folder where you are going to dump all imported messages. 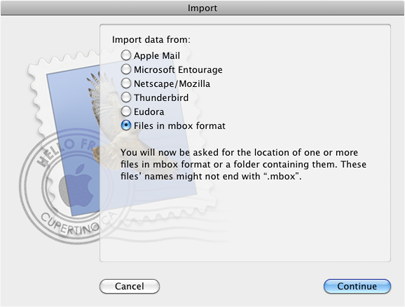 In Finder, select the mbox files you want to import. Drag and drop them over the Entourage folder created in the previous step. Select ONLY mbox files, otherwise, migration will not be done. Note: There is an alternative method for migrating files into Entourage. It involves using the "Import" option in the "File" menu. However, this option may prevent you from selecting the mbox files. We recommend using the steps described in this document instead. Although Thunderbird is not able to import mbox messages generated by PST Bridge directly, there is a way of achieving this. Simply follow these steps. 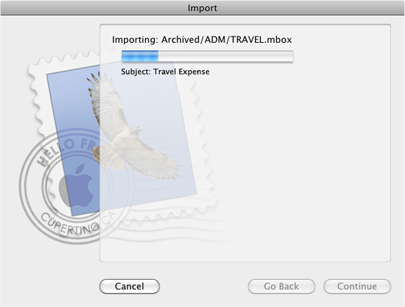 Export files with PST Bridge. 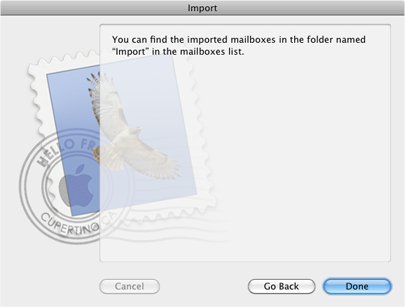 Import files to Apple Mail (there is a separate set of instructions in this document, go to Importing files with Apple Mail). 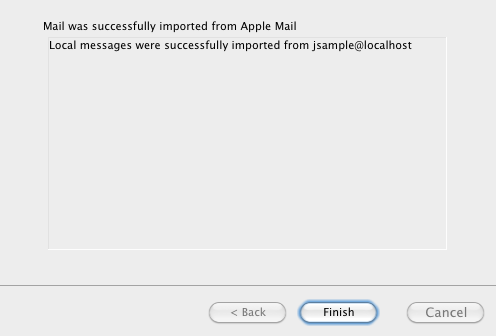 Close Apple Mail and open Thunderbird. Open the migration assistant by selecting Import in the Tools menu. 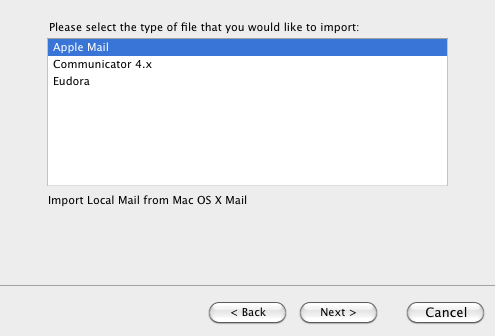 Select Apple Mail and continue. 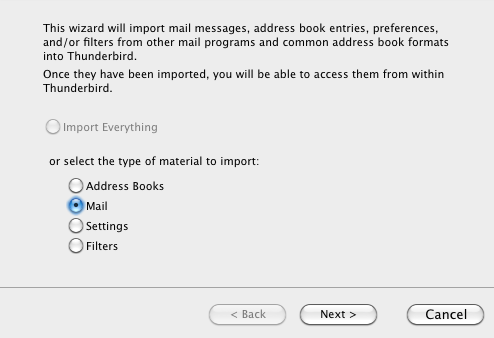 Thunderbird will migrate all messages you have in Apple Mail.